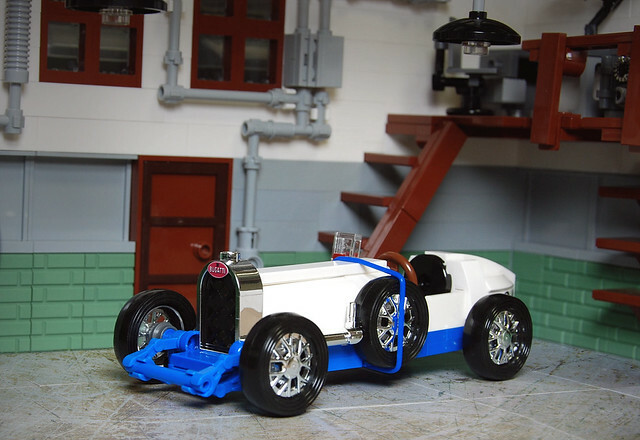 While everyone is drooling over the new LEGO Bugatti Chiron Technic set builder _Pixeljunkie_ has decided to go more retro, way more retro. This is a 1928 Bugatti Type 37A, and it's beautiful. There's a fair amount of custom chrome on her, and it really pops. And an old garage is the perfect setting.